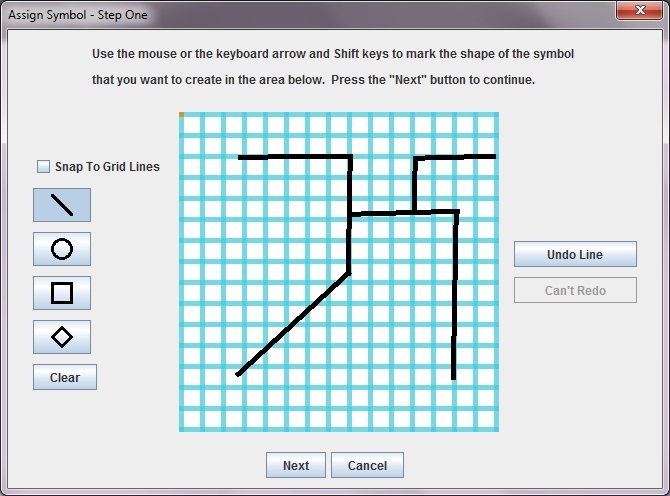 FullFonts is without equal as a word processor that integrates custom symbol creation with the standard operations that word processor users have come to expect. 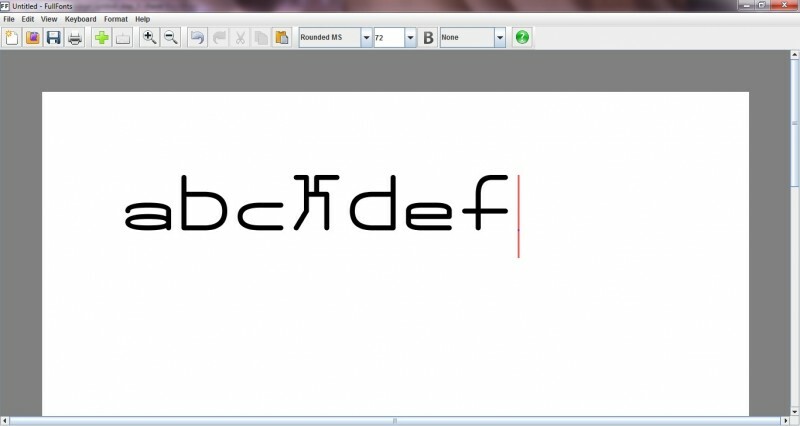 The intelligent fonts programmed into FullFonts are able to determine how any symbol will look in that font, not just a predetermined set of letters, numbers, and punctuation marks. And FullFonts documents containing custom symbols can be viewed by anyone who has the program without installing additional font files. 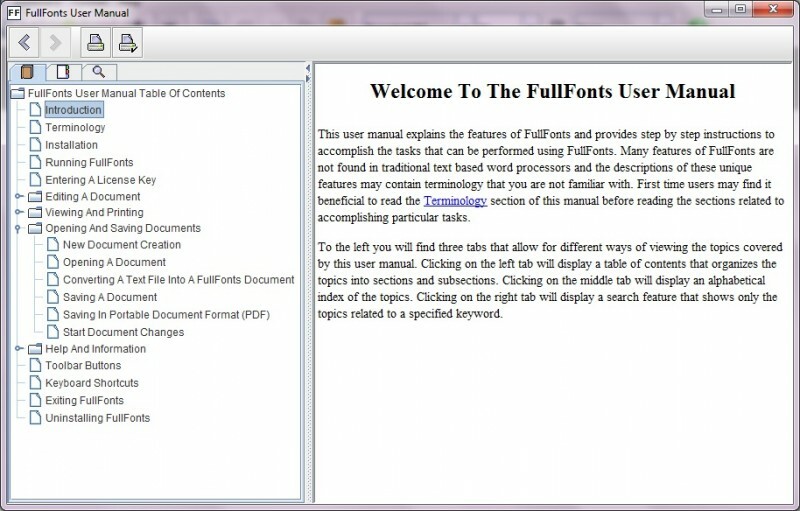 FullFonts allows you to view or print the keyboard layout of the document that you are working with at any time. Keyboard layouts can be changed easily and can be shared with other FullFonts users who want to type with the same layout. FullFonts also includes a built-in User Manual that provides quick aids and instructions. 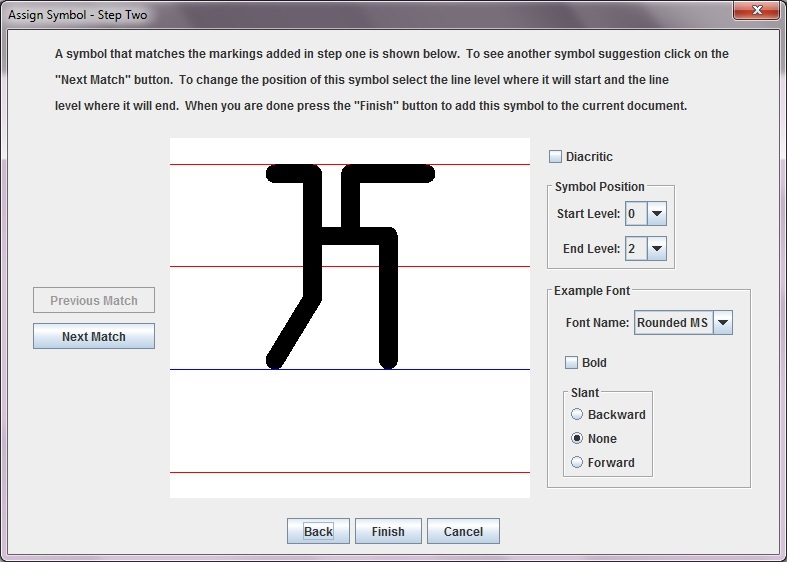 Foreign language symbols can be assigned to a keystroke by drawing the shape of the symbol rather than searching through a huge table of available foreign language characters. Vertical with lines going left to right.